Kendall Loh/Photo Editor Founded in 1973, this year marks the 40th anniversary of Harpur’s Ferry, the student-run ambulance service on campus. The corps runs 24/7 and now boasts two fully functional ambulances. The agency was founded in 1973 by Jon-Marc Weston and Adam Bernstein with the help of their fellow Tau Alpha Upsilon fraternity members. A tragic 1970 incident, in which eight people were found near death on the floor of the West Gym after a Grateful Dead concert, shed light on the need for an ambulance service on campus with a skilled and alert crew. Weston purchased a used ambulance from the New York City Fire Department following the incident and began what would grow to become the volunteer ambulance agency that is now known as Harpur’s Ferry. 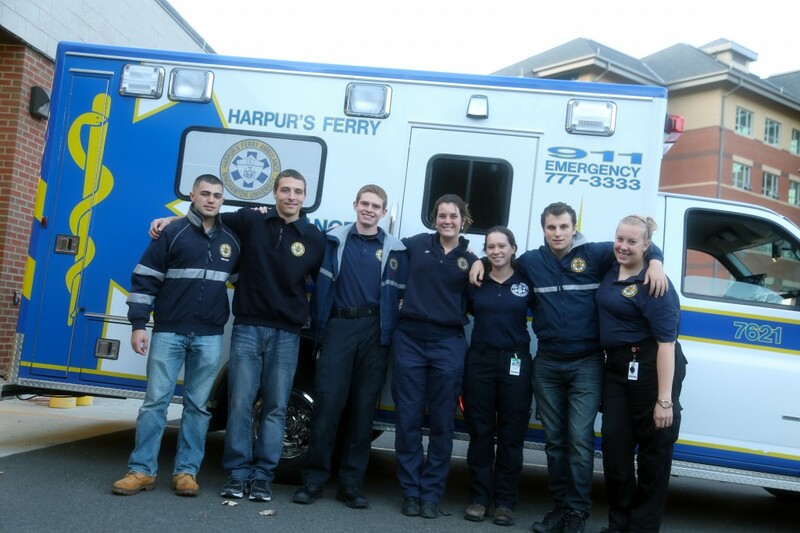 Today, Harpur’s Ferry has two fully operational ambulances and is certified by New York state as an Advanced Life Support agency. At the heart of the organization, however, is the student staff. Devin Howell, the executive director and chief of Harpur’s Ferry, said that he wished everyone at Binghamton University knew that the service promises confidential patient care, so no one should ever be embarrassed or scared to call. “We want everybody in the University to know everything about us. That we go off campus, that we don’t charge for any kind of transport. There are a lot of misconceptions,” said Howell, a senior majoring in mechanical engineering. Harpur’s Ferry delivers sick patients to one of three local hospitals: Wilson Medical Center, Lourdes Hospital and Binghamton General Hospital. In addition to what it does for the student population at BU, Harpur’s Ferry also collaborates with Broome County. Through the county’s mutual aid program, Harpur’s Ferry is enlisted to come to the aid of individuals if the county cannot. “If another agency’s jurisdiction say they don’t have any ambulances that are available the county will go to the next town over and if they have an ambulance available they will pull them in,” Howell said. The staff voiced its consensus on the idea that participation in Harpur’s Ferry was more than just a job and some volunteering service to tack onto a resume. “I definitely think of basically everyone in the agency as a second family. They’re awesome, and we’re all really close here,” said Victoria Keyes, a junior majoring in English.